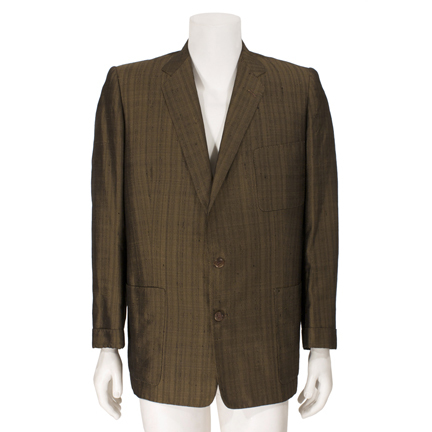 This sharkskin jacket was worn by the character “Gilbert Wooley” portrayed by legendary comedian Jerry Lewis in the 1958 comedy classic “The Geisha Boy”. 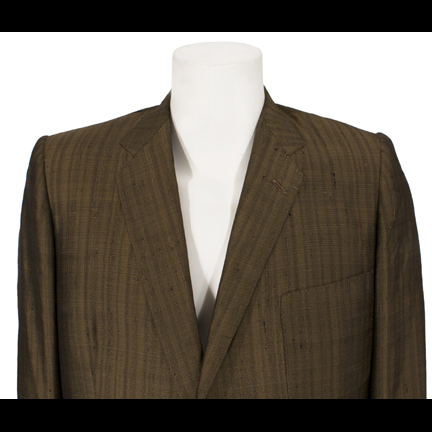 The two-button jacket is constructed of gold / dark tan sharkskin material with cuffed sleeves and pouch pockets at the waist. 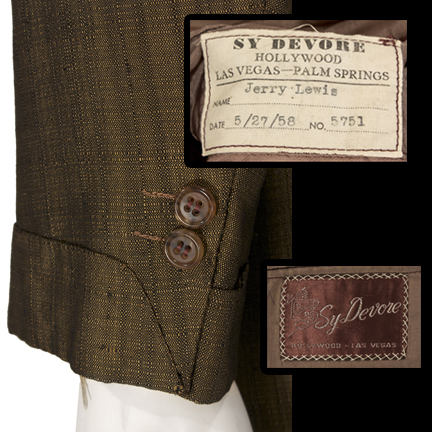 The garment was custom made for Mr. Lewis by Sy Devore and has the original tailoring label sewn inside with the name “Jerry Lewis” and production date “5/27/58” clearly typed. 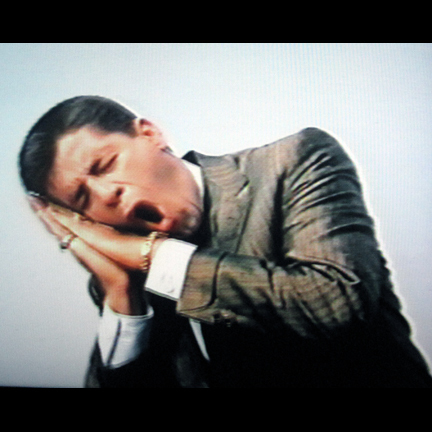 Mr. Lewis wore the jacket in numerous scenes toward the end of the film when Gilbert decides to return home to America after being relieved of his duties as a USO performer in Japan. 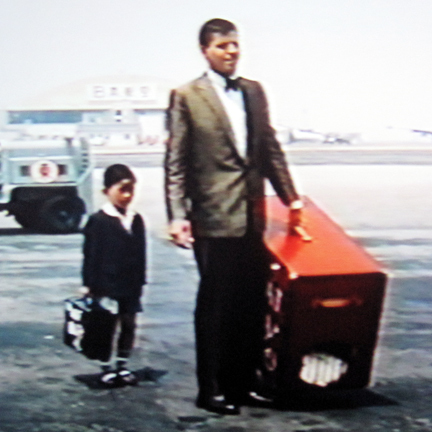 When he arrives at the airport he finds himself being followed by the Japanese orphan boy “Mitsuo” (Robert Himano), who wishes to go with him. Despite rebuffing the child, Mitsuo stows away in Gilbert’s trunk and the two agree to stay together after they arrive in the States. 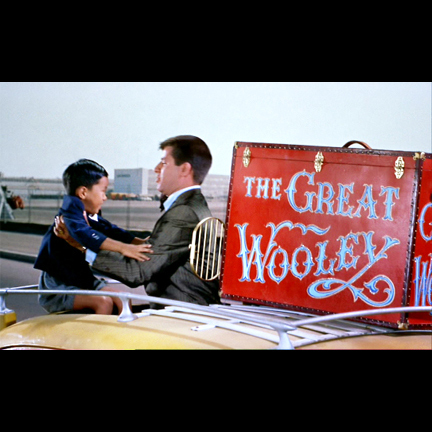 Unaware that Mitsuo’s absence has been reported as a kidnapping in Japan, Mitsuo is soon forced to return, but Gilbert stows away on his plane and returns with him, much to the boy’s delight. 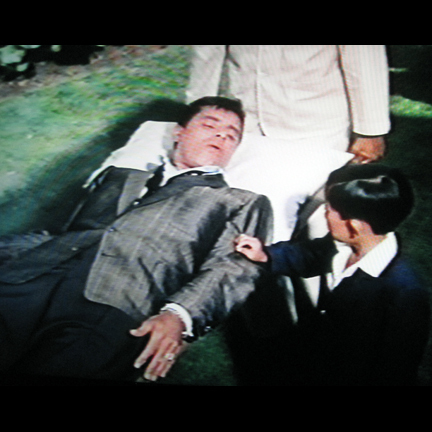 “The Geisha Boy” was nominated for a Golden Laurel Award for Top Comedy in 1958. 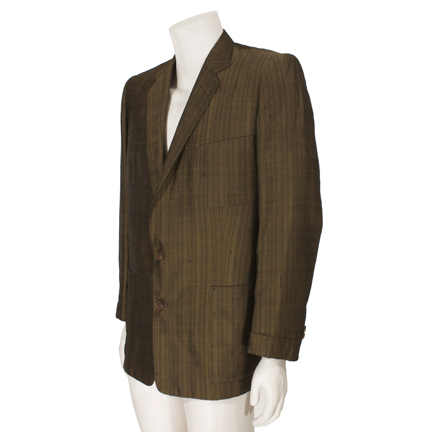 Sy Devore provided the men’s wardrobe for the film, and the women’s costume designer on the production was the legendary Edith Head. The film was also notable for featuring the actual “Los Angeles Dodgers” baseball team that made an appearance in the film playing an exhibition game in Japan. 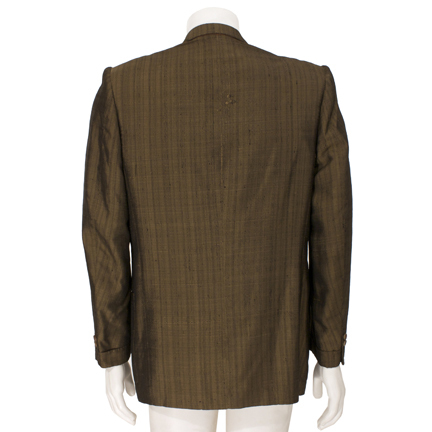 The jacket is in good vintage condition with minor wear on the fabric and seams and some tears in the lining due to age. Accompanied by a letter of authenticity.